Videocon d2h – Khushyion ka Weekend: Subscribe to Star Sports HD at Re.1 for 30 days. Videocon D2H launched a promotional offer “Khushyion ka Weekend” where they provide Start Sports HD channel @ Rs 1 for Full 30Days access, That’s to good for all Videocon D2H users, Just avail this offer Now, The offer is only run 2 days from 10th to 12th November so Hurry up and avail the offer soon. 1). First of all Just give a missed call on 8467996060 From your registered Videocon D2H Number. 2). After giving Missed call you will receive the confirmation message. 3). The Offer Period starts From 10th November 2017 to 12th November 2017. 1. The Offer is open ONLY to Videocon d2h Subscribers having an Active Account Status. 2. You must subscribe to ‘Star Sports Select HD Add-on’ on the Offer Days between 00:00 hours on 10th November 2017 to 23:59:59 hours on 12th November 2017. 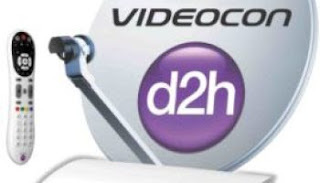 Videocon d2h business associates including the dealer(s) and advertising agencies. 5. Anyone who may be involved in the promotion such as Content Partner(s), Vendor(s), Agencies etc. 6. Existing subscribers of offered service. 7. Videocon d2h reserves the right, at any time, to verify eligibility requirements, in any manner deemed appropriate.